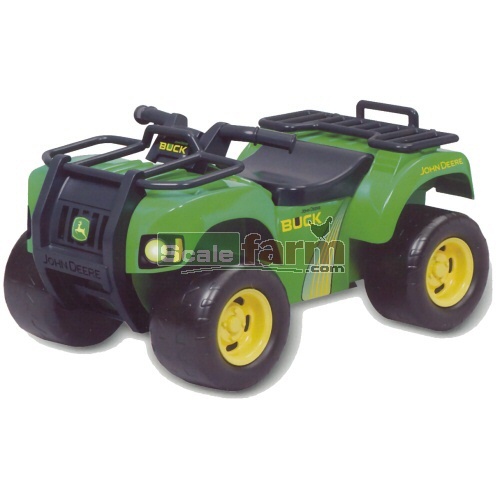 John Deere 'Buck' Sit-and-Scoot ride on all terrain vehicle (ATV), perfect for your children to join in the fun on the farm, featuring authentic colours and graphics from well know agricultural manufacturer John Deere. 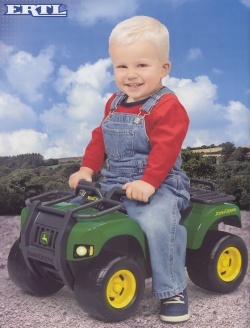 The easy to ride ATV makes realistic sound effects, plays music and has flashing turn signals - batteries included. It has pivoting front and rear racks for load carrying.